Now in its fourth year the Parklife Weekender is set to announce the biggest line-up in its history. Headliners Plan B and Example will be joined by recent NME Godlike Genius recipient Johnny Marr, BRIT's nominee Jessie Ware and the legendary Jurassic 5 who are among over 100 artists revealed. Plan B will be making his Parklife Weekender debut this year, entertaining the thousands with tracks from his two number one albums, The Defamation of Strickland Banks and the critically acclaimed Ill Manors, which saw Drew return to his original protest rap lyricism. 2013 is set to be Plan B's year as he is nominated yet again for Best British Male and Best Album for Ill Manors at the BRIT Awards. Plan B is no doubt going to be a huge success at this years Parklife Weekender. Parklife Weekender will also be welcoming Example for the very first time in 2013, the artist reveals that he cannot wait to play to Manchester fans, "I am really looking forward to playing my first-ever Parklife Festival... I've played up North a few times and the crowds are always up for it and I buzz off their energy!" 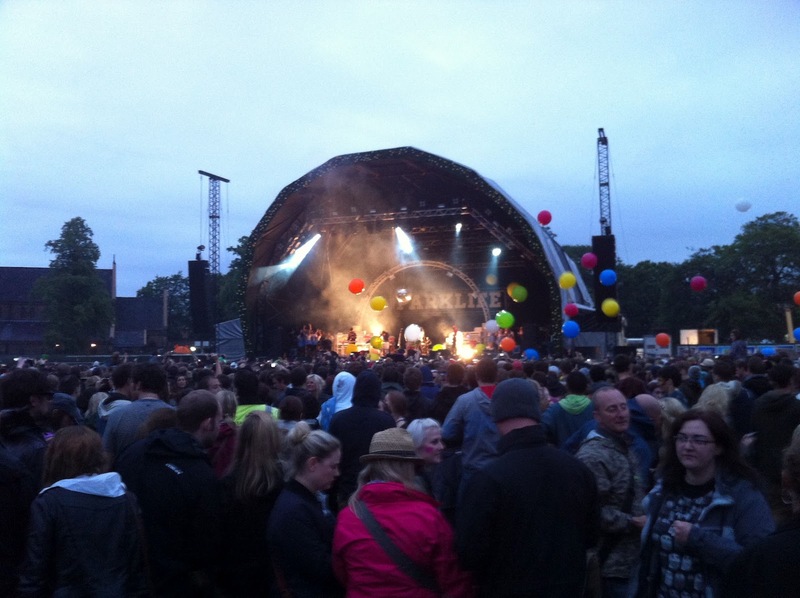 Parklife Weekender has thoroughly established itself as the musical Mecca of the north, following on from three sell-out years, 2013 is guaranteed to be the biggest and best offering yet. Increasing artist numbers by hundreds yet keeping ticket prices at only £69.50 for a weekend pass, Parklife ensures that it maintains its status as 'by far one of the best value festivals in the UK' according to Elisa Bray, Music Editor, The Independent. Also on the bill are a host of eclectic acts which showcase everything from Brooklyn agile rapper Joey Bada$$, to the enticing voice of Aluna Francis in London electronic pop duo Aluna George, to the chart topping euro-house pop prince TEED, otherwise known as Totally Enormous Extinct Dinosaurs. Parklife Weekender has yet again programmed an exciting and varied mix of sounds, from global superstar Mark Ronson performing back to back with scratching legend A-Trak, to both David Rodigan and Hudson Mohawke curating their own stages, the latter showcasing his revered live duo TNGHT. Mainstay favourites return to Manchester’s number one festival including Leeds based label Metropolis who will be celebrating their 10th birthday in style welcoming Sub Focus, Benga, Jaguar Skills and many more to party in their first decade.